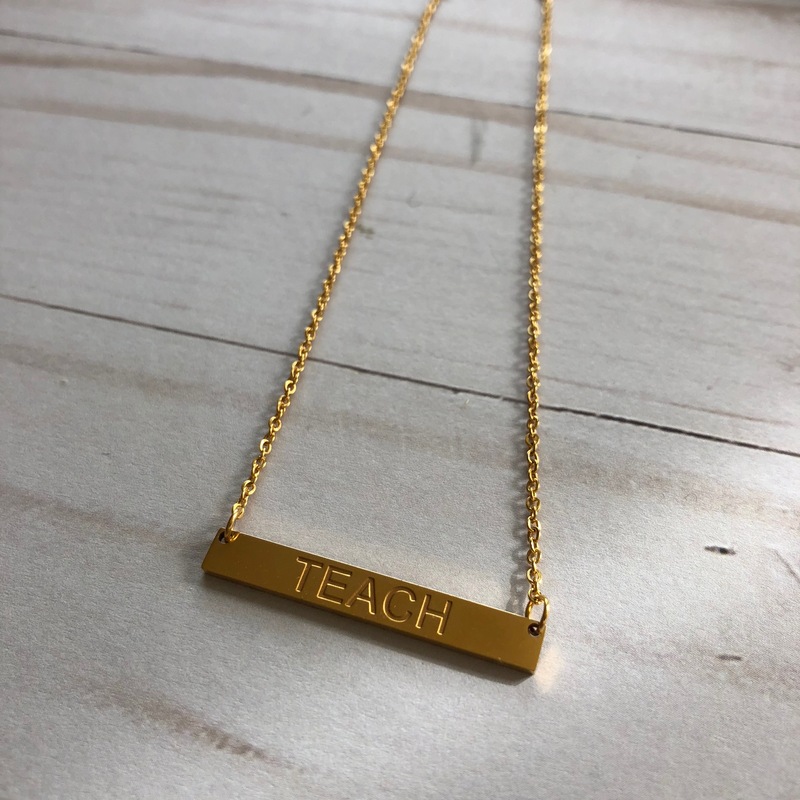 Show your teacher pride with this gold-plated stainless steel bar necklace. The chain is approximately 20 inches in length, not including the bar, which is 1.75 in wide and .25 in height. FREE shipping within the United States. Orders will ship within 3 business days by USPS.